Country fans, get ready to welcome one of the genre’s favorite groups to Michigan!! 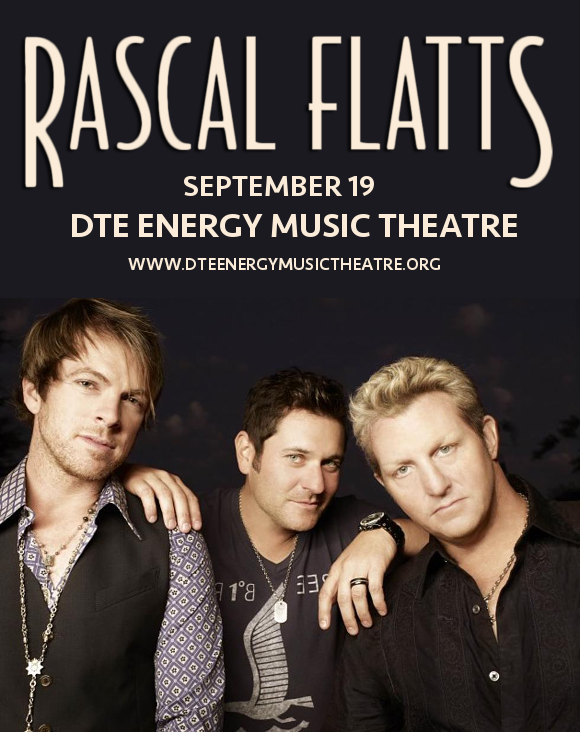 That’s right, it’s Rascal Flatts, coming to perform LIVE at the DTE Energy Music Theatre on Thursday 19th September 2019 as part of their enormous Summer Playlist tour!! No fan is going to want to be left out of this tour – make sure that’s not you!! Grab your tickets today, before they sell out!! Rascal Flatts are currently touring with their latest album, the critically acclaimed “Back To Us,” which, according to the band, has the same kind of energy and feel as their first, immensely popular self-titled album. The new record, while being reminiscent of the band’s first album, much cherished by fans, also has echoes of music from several decades back. We can hardly wait to hear all the new sounds live – can you?? No?? Then hurry and get your hands on those tickets, while you still have the chance! !